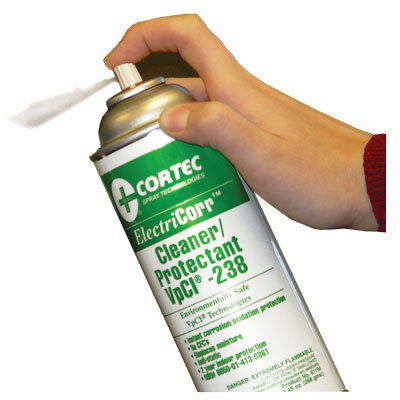 ElectriCorr VpCI-238 is an electronic cleaner containing Vapor phase Corrosion Inhibitor(VpCI). 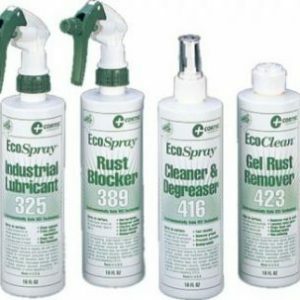 This cleaner is specifically formulated for electrical/electronic equipment, and components. ElectriCorr VpCI-238 forms a thin film of Vapor phase Corrosion Inhibitors effective against aggressive environments including industrial, marine, and tropical climates. This film does not alter the electrical resistance or magnetic properties of metal substrates. ElectriCorr VpCI-238 can be safely applied to protect circuits or relays without causing any changes in conductivity. It can be safely used with most plastics, elastomers, and other nonmetallics. 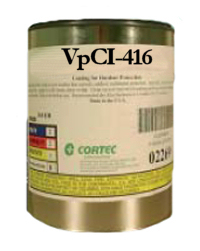 ElectriCorr VpCI-238 is an effective inhibitor of galvanic corrosion for most metals and alloys normally found in electronics applications, such as aluminum, copper, ferrous, and other non-ferrous metals. ElectriCorr VpCI-238 is free of CFCs and 1,1,1-Trichlorethane. Application provides instant corrosion protection. In cases where severe corrosion may occur, ElectriCorr VpCI-238 can be used along with VpCI-100 series impregnated foam devices for extended protection. Protection: 50.0 ft2/can (4.65 m2/can). Package: Six 9.45 oz. cans/carton.